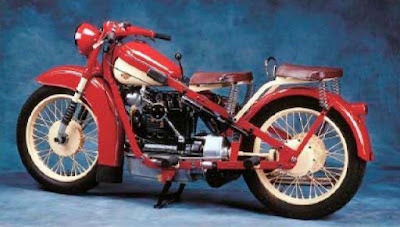 Perhaps among you had never known these Danish vintage motorcycles. Perhaps never been hearing its name as well, it was understandable because this bike was born in the early twentieth century. The Nimbus was a Danish motorcycle produced from 1919 to 1960 by Fisker and Nielsen of Copenhagen, Denmark, also manufacturers of "Nilfisk" vacuum cleaners (now Nilfisk-Advance). Prior to 1937, the entire Nimbus motorcycles are equipped with the flathead engines, meaning that the valve's position located on the side of the machine. 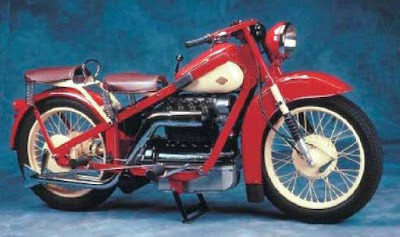 But since 1937, Nimbus adopted the overhead valve system as well as today's modern engines. 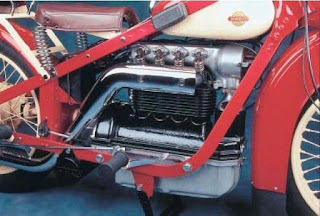 Nimbus motorcycles have always relied on four-cylinder inline engine with a capacity of 746 cc and utilize the propeller shaft to pass the power from the engine to the rear wheel. However, as is generally the machine early 1900s, the valves in the engine of Nimbus is still open means not to have a protective cover that is very prone to be hit by dirt that can cause engine damage. 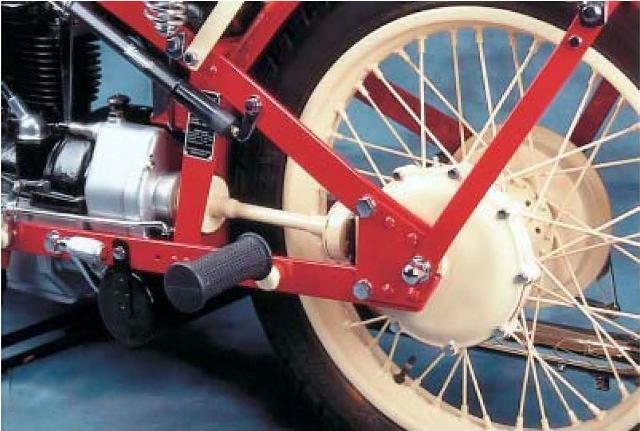 In 1937, Nimbus has released a series of Luxus equipped with unique steel frame features. The framework was made of flat steel, of course it was very different from most manufacturers that use tubular pipe as forming the framework of the bike. Then the fuel tank of Nimbus Luxus looks like being in the arms of two rods of steel frame with diagonal position. Whether intentional or not, these conditions make its steel frame looks very dominant due to exposure. 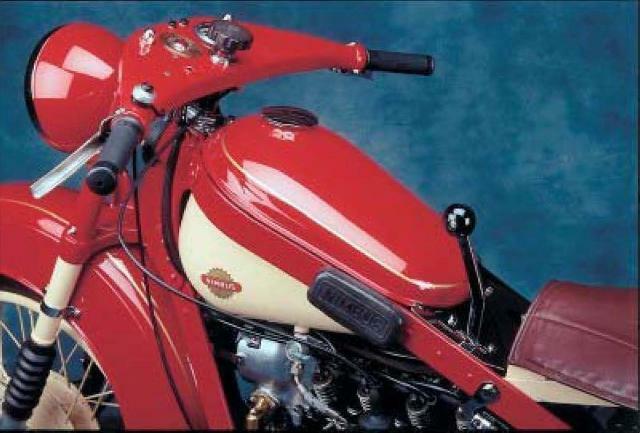 But precisely because that's become one of the strong characteristics of the Luxus motorcycles. Another interesting uniqueness of Nimbus Luxus is the use of telescopic suspensions at the front. The features were clearly contrary to the majority of motorcycle manufacturers in that time were adopting the leaf spring for the front suspension, while at the rear was rigid. Maybe the Nimbus Luxus was the first motorcycle that prioritizes comfort for driver and passenger at once, it is shown by the construction of the driver and passenger seats are equipped with the springs. One thing that can be said radical is the placement of the gear lever. The console behind the gas tank is where the transmission lever dwells. 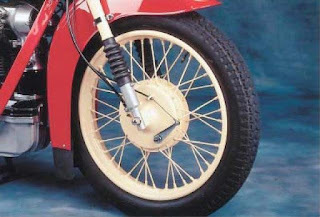 Although the clutch mechanism can be operated by hand or foot, but the position of the gear lever as it was certainly difficult for the rider. Perhaps it was as a form of affirmation, that the Nimbus Luxus motorcycles are specifically for men.